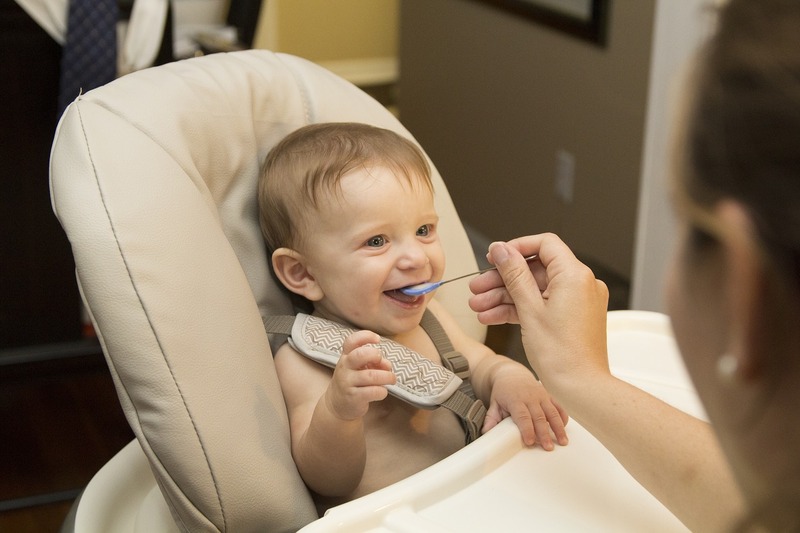 Is your baby about to start solid foods? Are you thinking of making your baby food? When you make baby’s first foods, you can save money and reduce waste. You also can choose more nutritious options. Fresh meals are typically more nutritious than canned, and you can purchase organic food to prepare for a baby if you wish. You can also avoid harmful ingredients that show up in commercial baby food. Making baby food doesn’t have to be expensive or time-consuming. The easiest and cheapest way is the best way! 2) If you wait until your baby is six months old to start solids, you can almost always mash with a fork to the desired consistency. If you’re breastfeeding, you can even wait until baby’s “pincer grasp” is developed and offer him small finger foods like peas, bits of grated apple, and the like. The pincer grasp is formed when a baby can pinch small objects (like those bits of carpet fluff or food on the kitchen floor!) between his thumb and first finger. If you have a family tendency towards food allergy, waiting longer to start solids may be preferable. No matter what baby’s age, always offer one food at a time and wait several days to watch for signs of allergy before submitting another. Take it slow. Some of these foods could be served raw. Others are lightly steam (steaming retains more nutrients than canning), to make them softer for baby. If you want to take a lot of time blending food and freezing them in ice cube trays, you could certainly do that. But I’m all for the natural approach! Although you do want to avoid giving baby salt and sugar (and spices that may upset the tummy), you can usually take an ingredient from your menu and “make” baby’s dinner. Even when you’re at a restaurant, you can either bring an apple with you and “grate” it finely with a spoon at your table, or bring along a banana or other portable food. Any restaurant with a salad bar would have cooked beans or avocado. Or give a baby a bit of your baked potato (before you add the goodies on top).